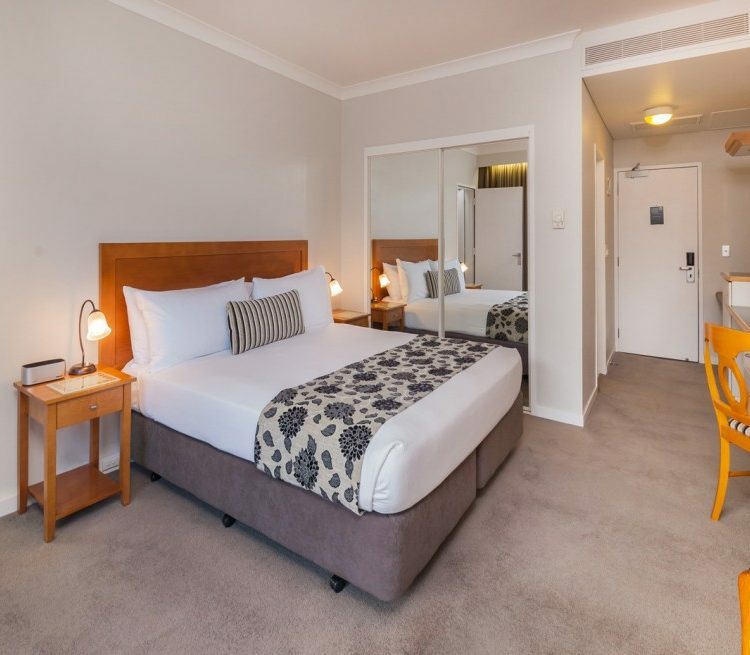 The resort’s comfortable rooms and suites feature en-suite bathrooms and geothermally sourced heating. 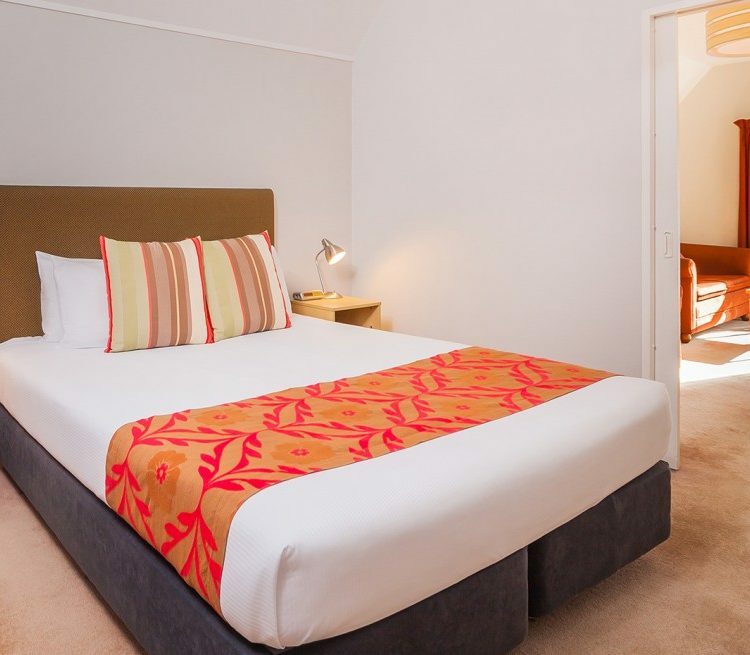 Twin Rooms accommodate up to 4 guests in 2 doubles or 2 queen-size beds. 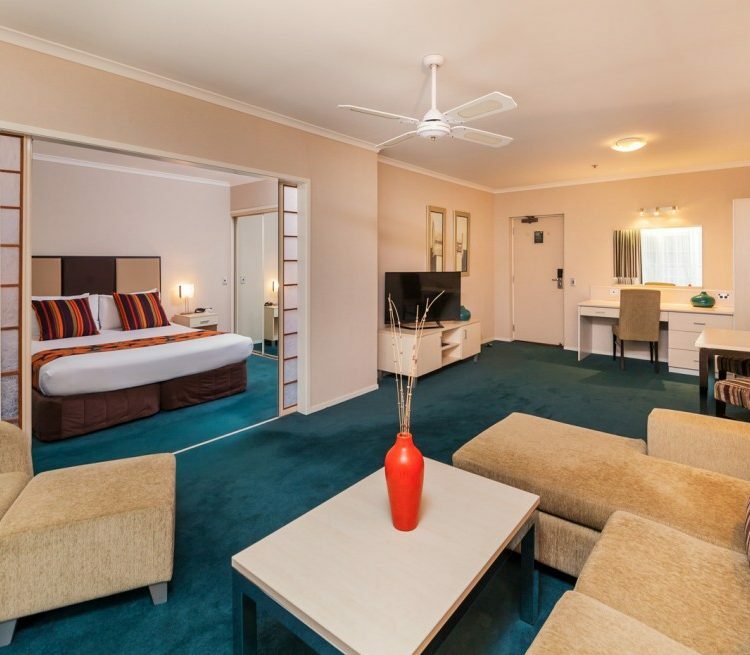 Suites offer king-sized beds for 2 guests and a separate lounge or sitting area. 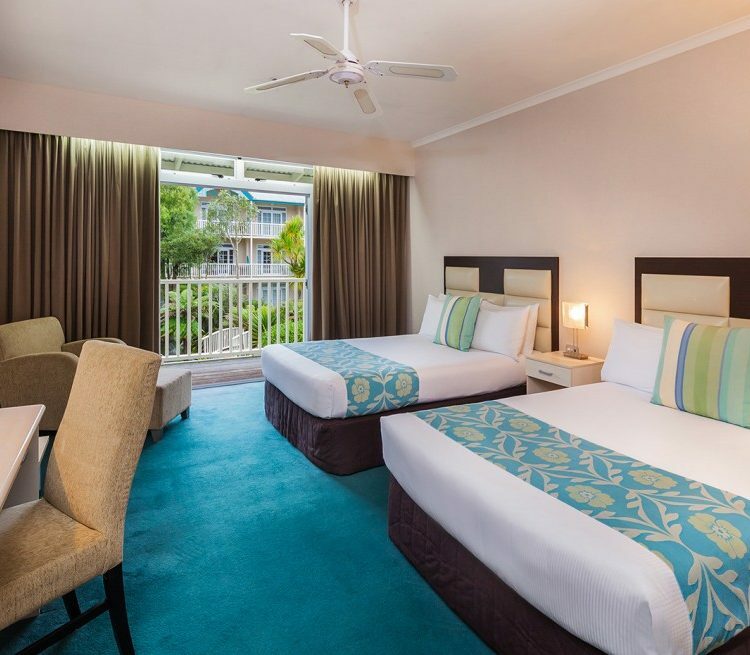 Family Villas feature a spacious open-plan living room, full kitchen and separate bedroom, and they all interconnect with adjoining Studio accommodation. 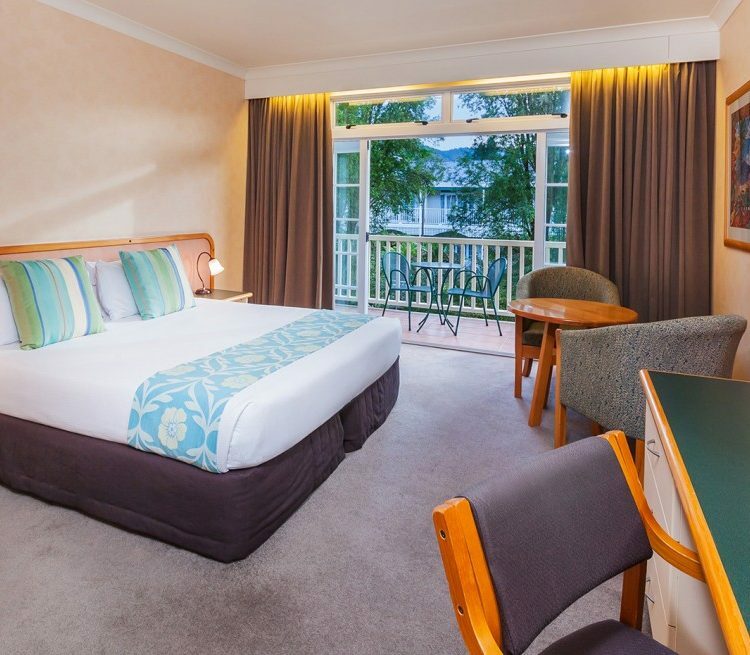 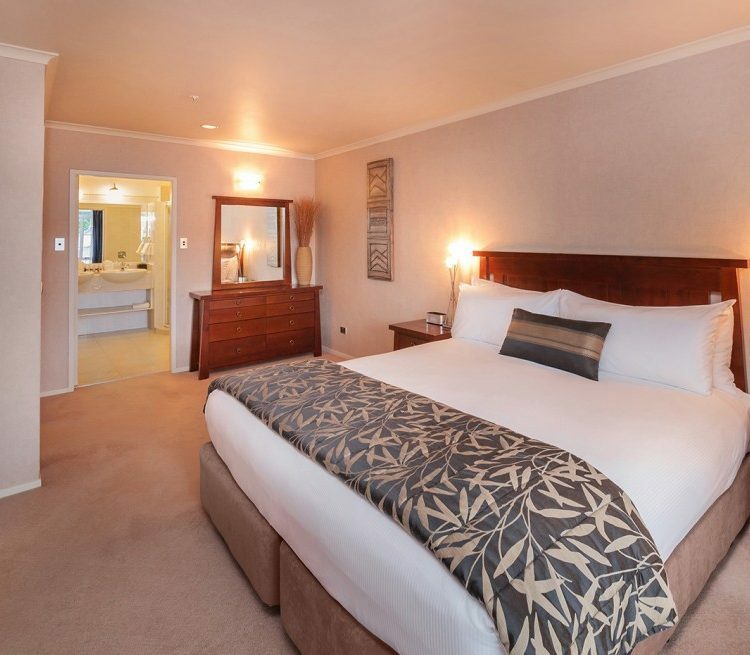 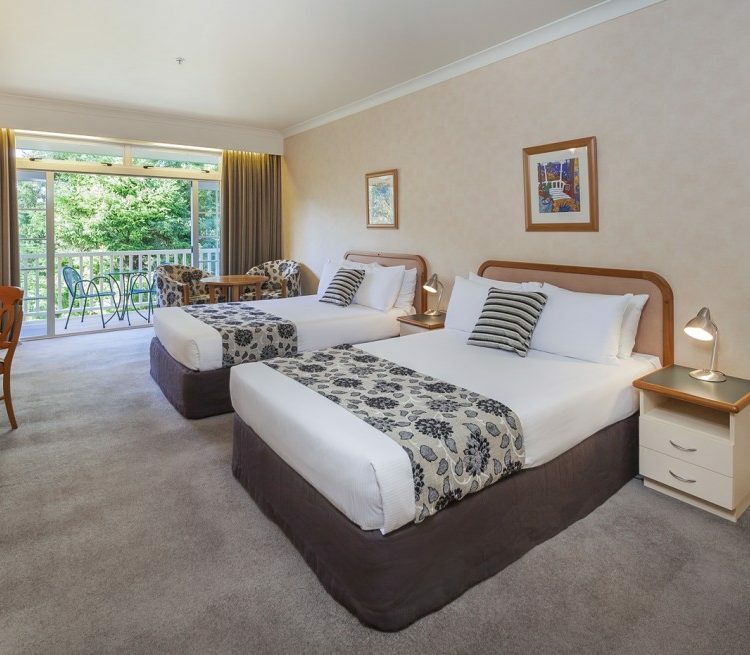 The luxurious split-level Rangatira Suite offers 2 bedrooms and a lounge with dining area. 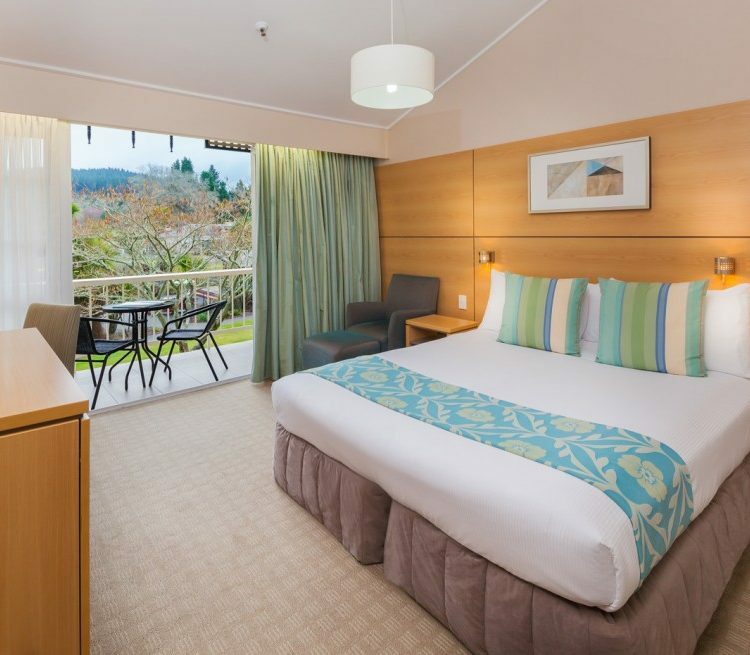 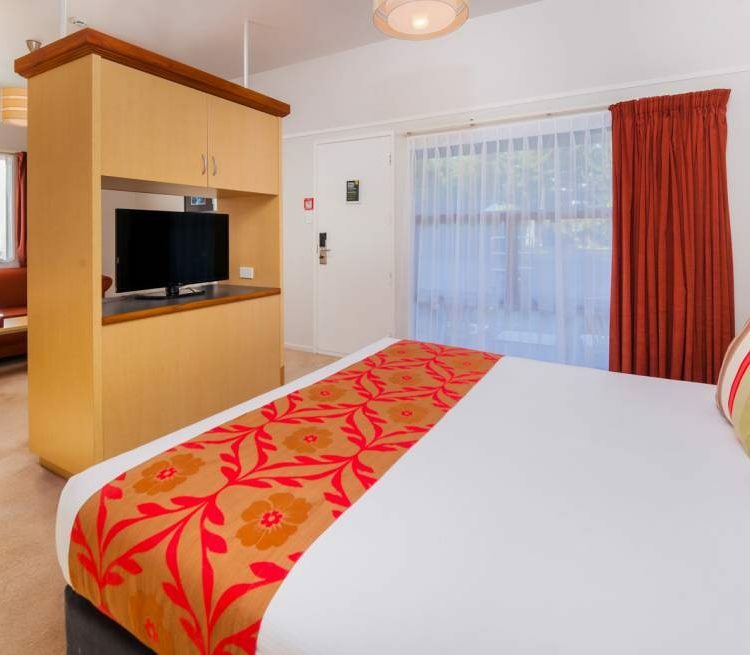 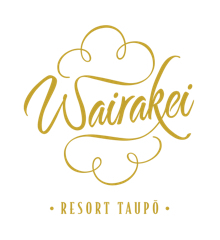 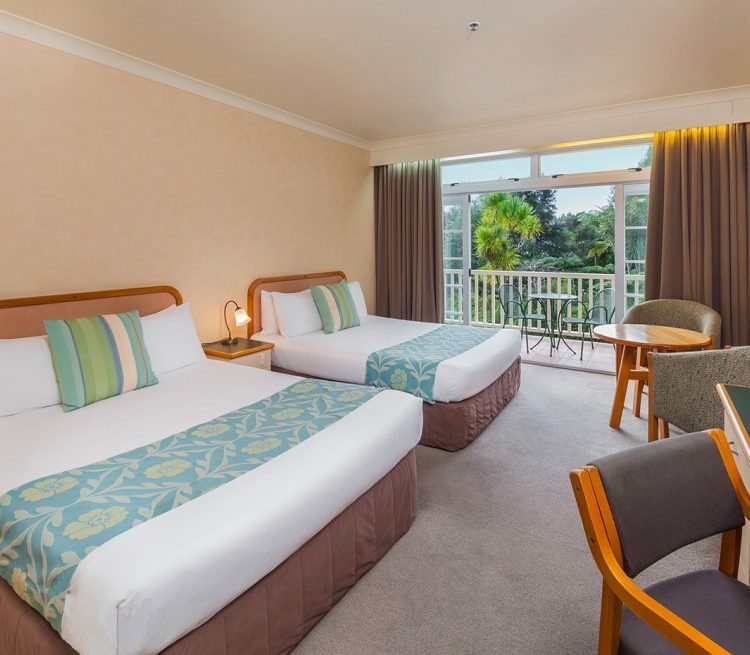 Most room categories offer views of manicured gardens and Wairakei Tourist Park from patios or private balconies. 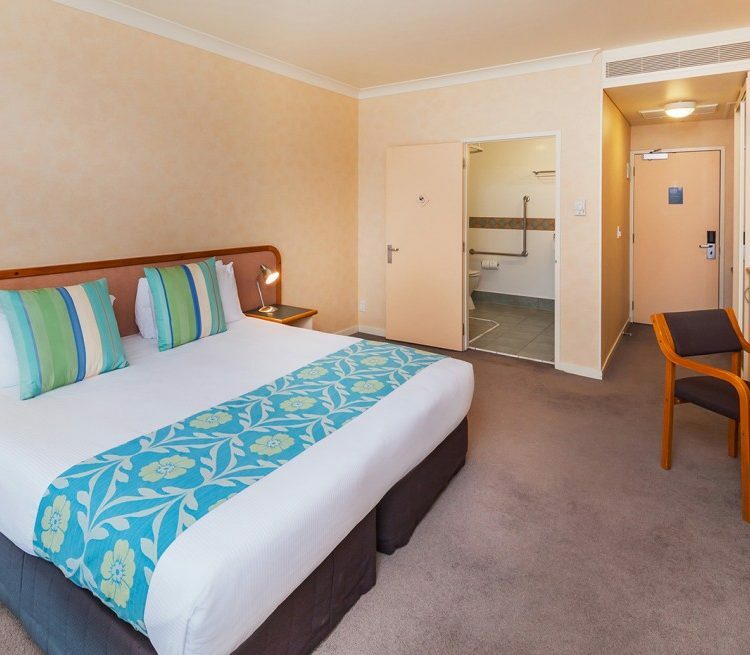 Disability rooms with wheelchair access are available. 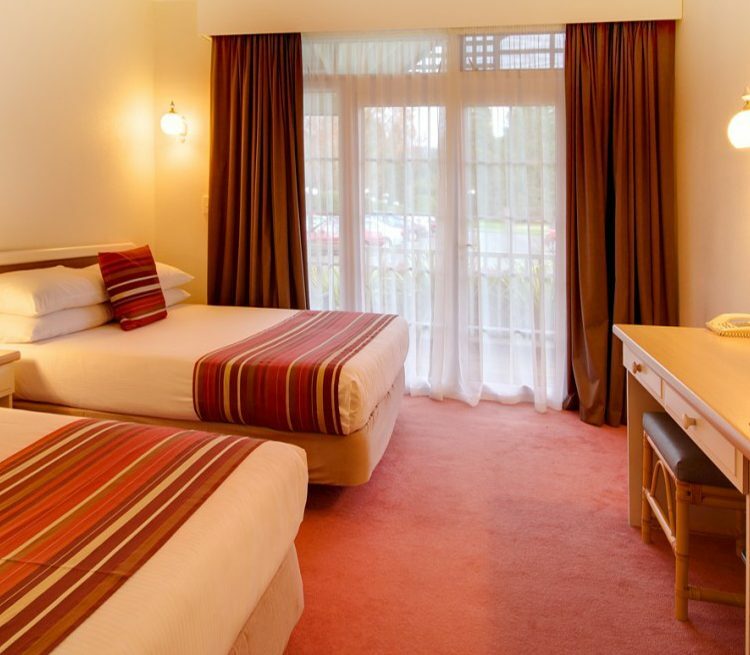 WiFi and 24-hour room service are available in all accommodation.